Common reasons for On-Wall wire management using wire raceway. 1. Due to the structure of following walls restricting in-wall wire concealment. 2. When there’s not even a single electrical outlet located on the wall where the TV will be mounted or way too far horizontally across the wall. And it’s not practical to spend the amount of effort and labour cost involved to put a new one in where the TV needs to be mounted. 3. In order to keep budget minimal and yet still have cables neatly managed in wire raceway. 4. People who are renting for now and it does not make sense to spend extra money on getting new electrical outlet or a Bridge-Style Power kit installed. And not worry about patching the holes in the wall when moving out. 5. People who just don’t mind the look of wire raceway on the wall. 6. 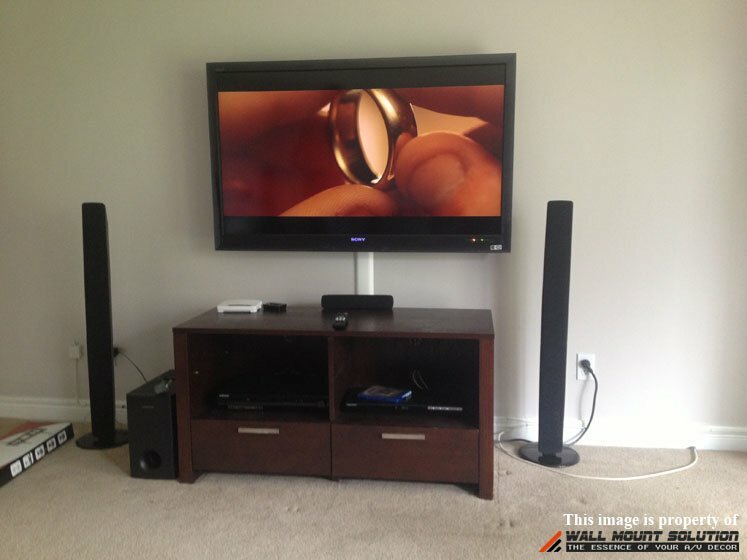 The distance of the cable run is so short from the TV to the component stand or other furniture that it can be easily covered with a picture frame or something else in between. Benefits of using wire raceway. Take a look at some of our work examples of wire management using wire raceway. 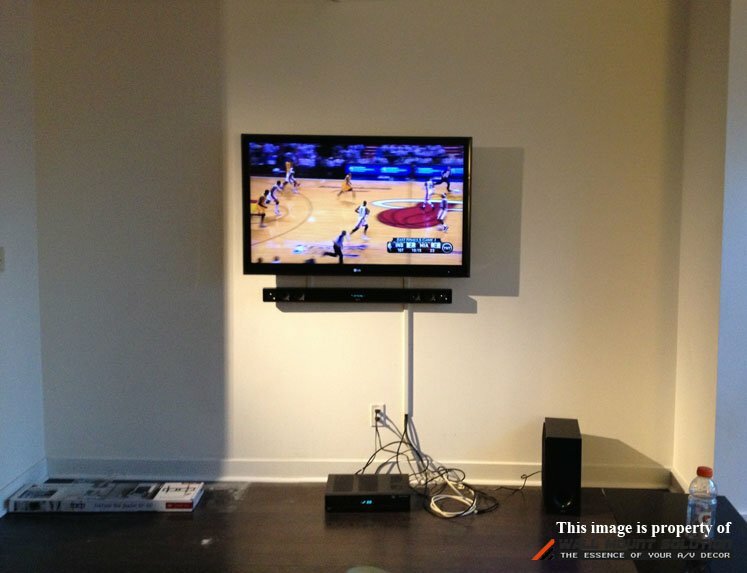 Figure 1 shows the TV mounted onto a concrete wall in a condo. You can see the wire raceway has been painted as the same color of the wall. Components are sitting right on top of the cabinets directly below the TV. 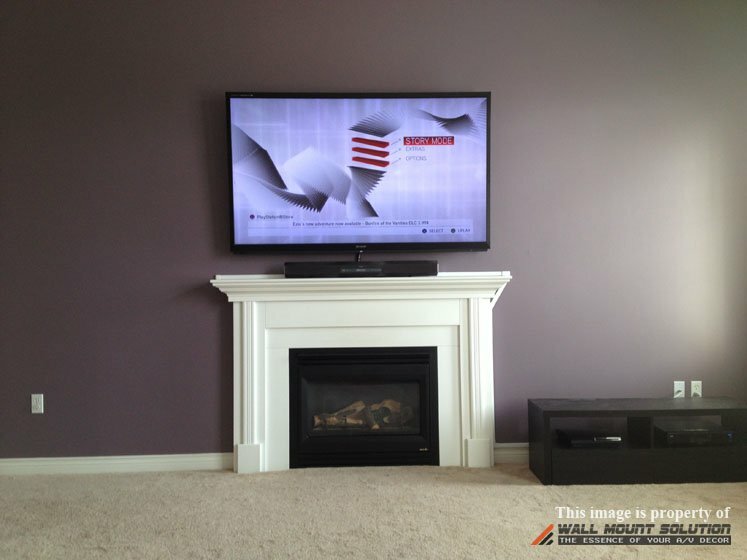 Figure 2 shows 70″ Sharp TV mounted over the fireplace. Sound bar is sitting on top of the mantle. Wire raceway is used to hide the wires all the way to the component shelf to the right side of the fireplace. 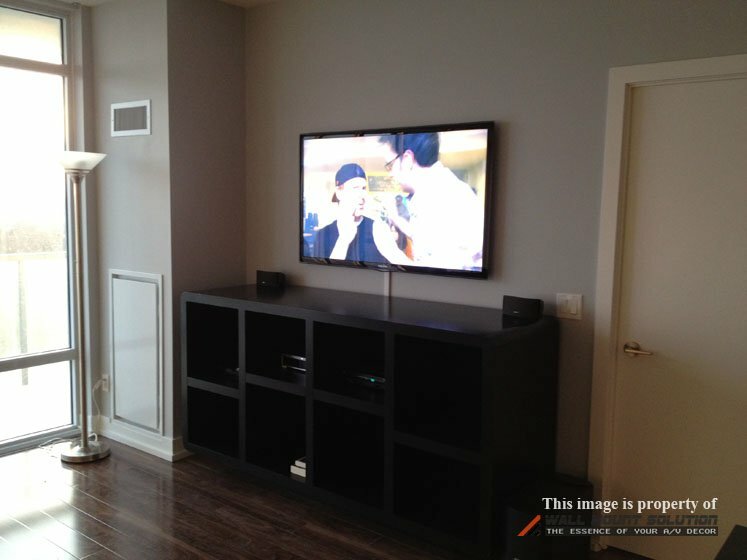 Figure 3 shows the TV mounted on drywall with wood studs in a modern house and component shelf installed directly underneath. All excess wires are concealed behind the TV and power extension cord is concealed with wire raceway running directly down from TV to the nearest electrical outlet below. 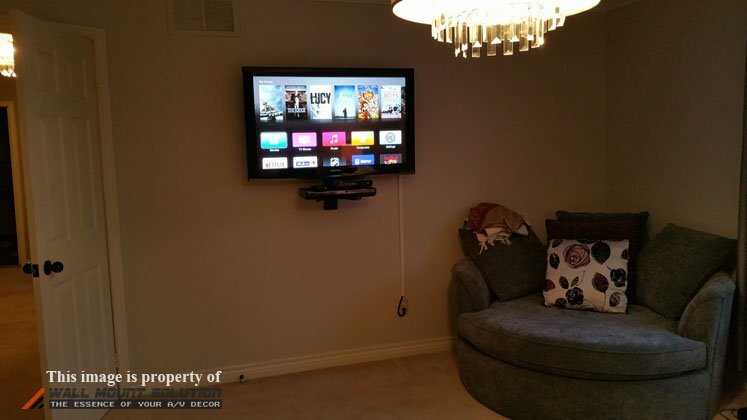 Figure 4 shows TV mounted on concrete wall. Wires from the TV to the components are running down covered in wire raceway. Component stand is directly below the TV hiding most of the wires behind it. 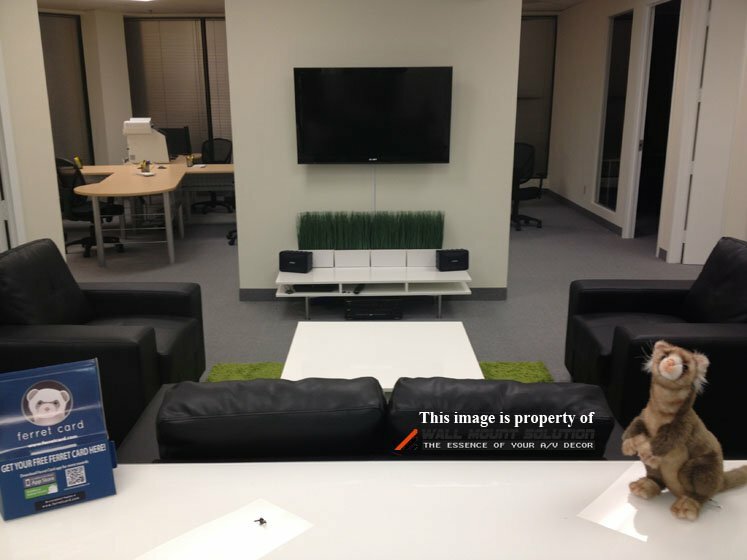 Figure 5 shows a TV mounted in a boardroom. 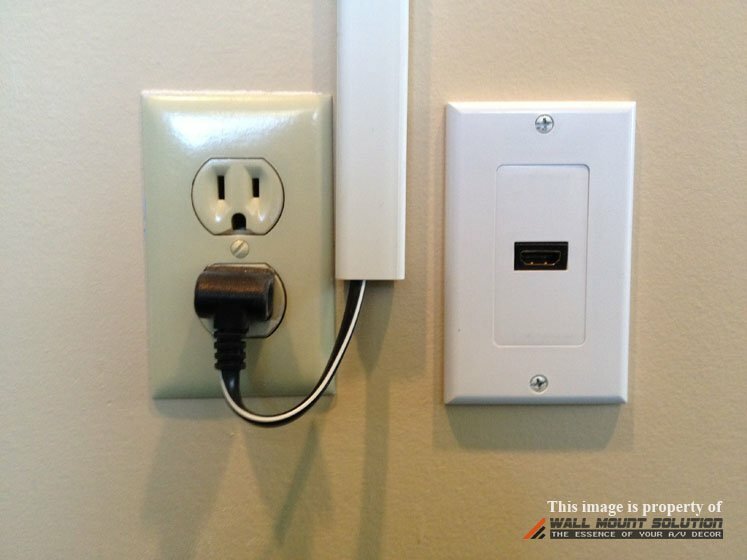 Power cord is covered with wire raceway running straight down from the TV to the electrical outlet directly below. This TV is to be used periodically with laptop connected to it only. HDMI cable was fished through the wall and a HDMI wall plate is installed below for easy connection from the laptop to the TV when necessary. Figure 6 shows close up look of the HDMI wall plate. 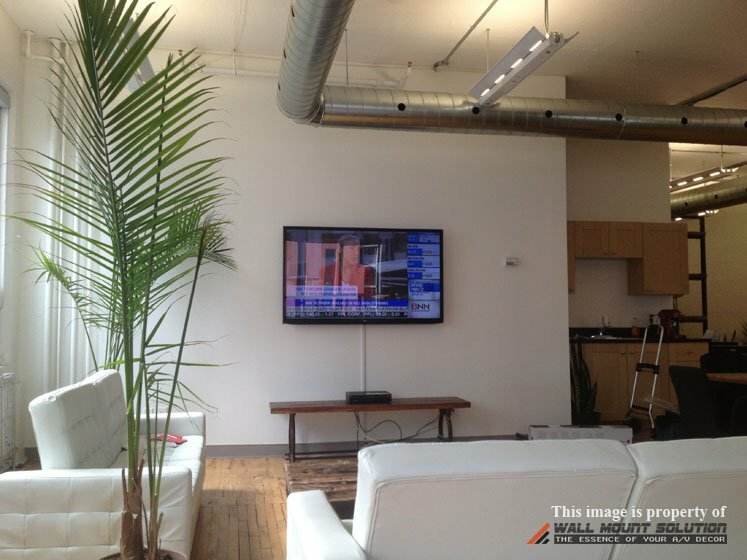 Figure 7 shows a TV mounted on a concrete column wall in a commercial building. Wires are neatly concealed in wire raceway and runs down to the small component stand below the TV. 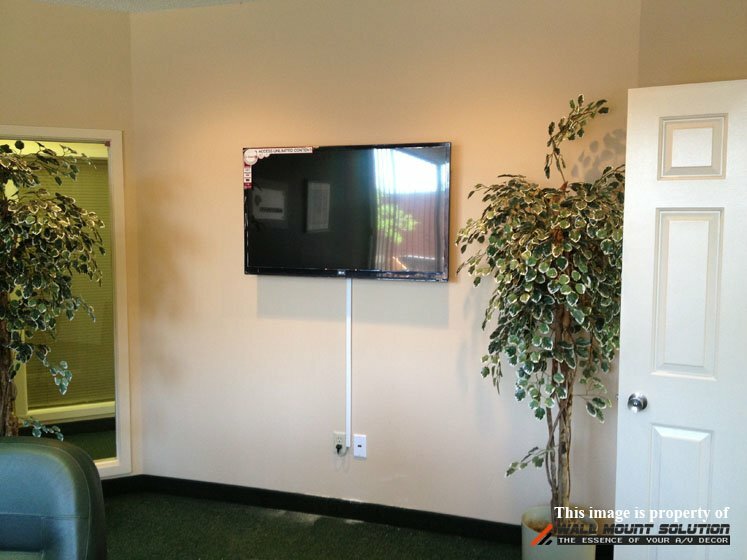 Figure 8 shows TV mounted on drywall with metal studs in a waiting room of an office in a commercial building. Wires are neatly covered with wire raceway. Cable box is connected to the TV & temporarily sitting on a bench until a proper component stand arrives. 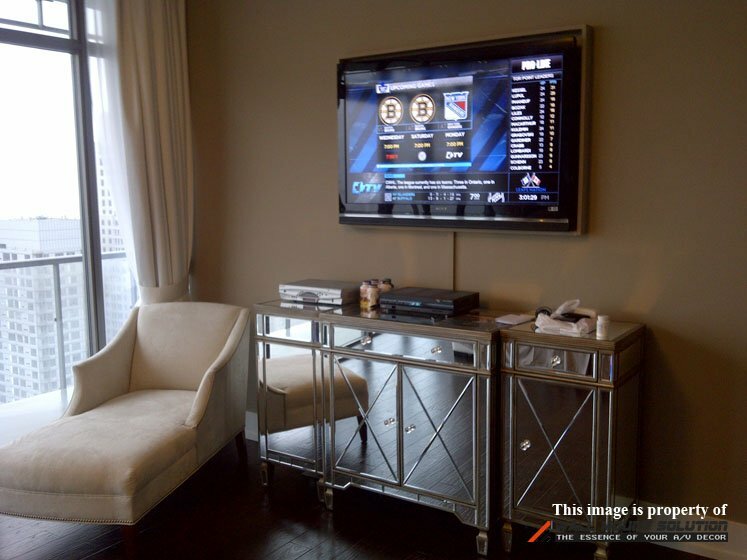 Figure 9 shows TV & sound bar mounted onto concrete wall in condo. Wire raceway runs down below. Currently components are sitting on the floor. Component stand is soon to arrive and it will cover all the excess wires behind the it. 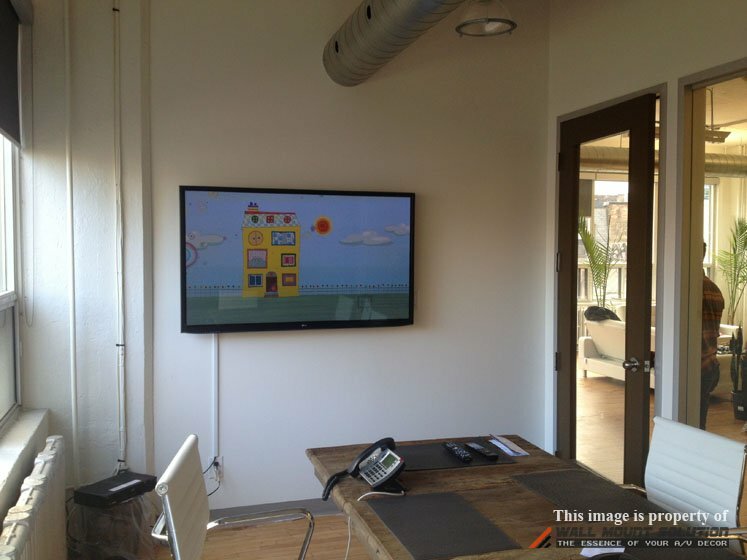 Figure 10 shows a TV installed in a boardroom. Power cord and 1 HDMI cable is running down the wall with wire raceway. Figure 11 shows TV installed in a modern house. There were many wires running down from the TV so a wide wire raceway was used to carry 6 cables. 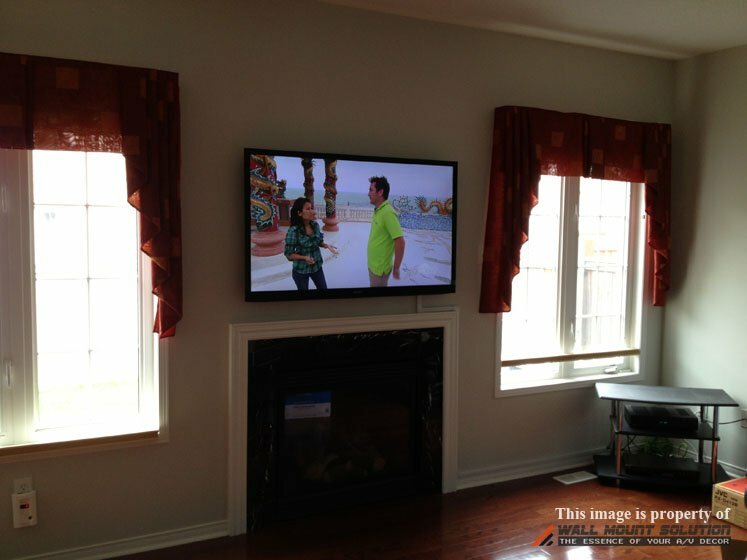 Figure 12 shows TV mounted over fireplace and wire raceway running around the mantle and across the wall above the baseboard to the corner of the wall where there’s component shelf.